If you're following the gut-healing GAPS Diet, you're going to need lots of soup and stew recipes. Lots and lots and lots! 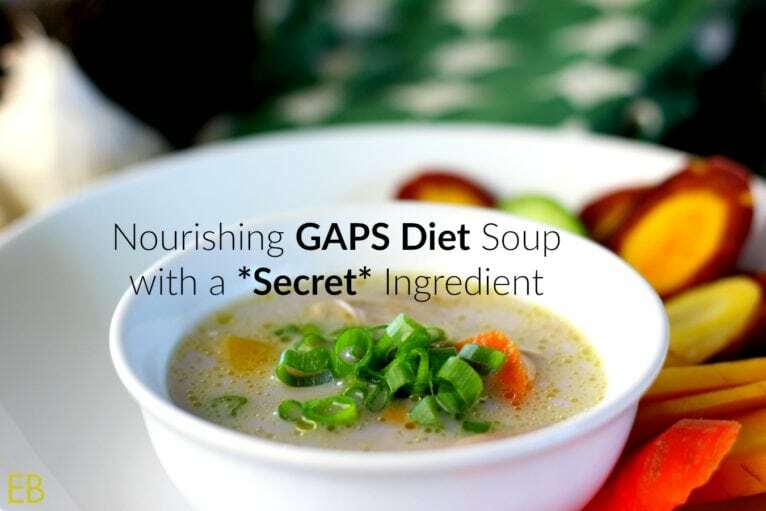 Because GAPS is all about the healing foods that soups naturally contain — bone broth, cooked vegetables, and grass-fed meats. 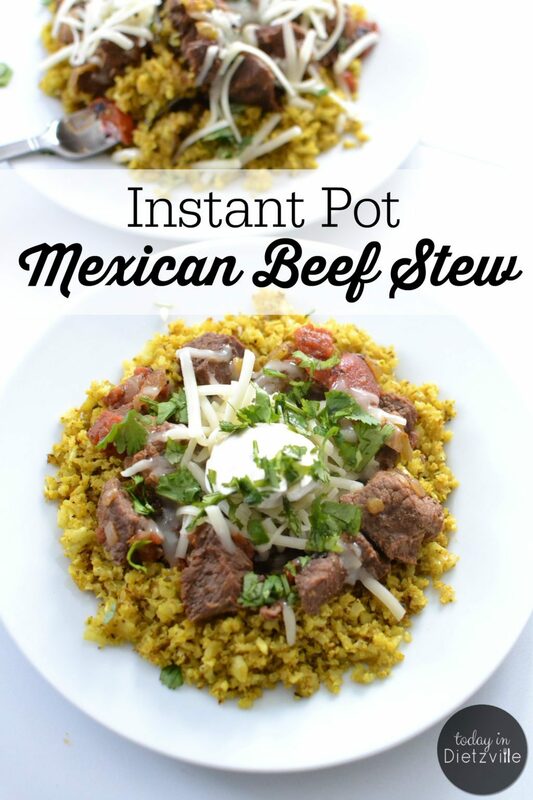 Since the GAPS Diet is hard enough as it is, why not make it easier on yourself… by using your Instant Pot! In the early GAPS Diet days, the Instant Pot hadn't even been invented. So those of us who did the diet “back then” had slow cookers and stock pots of broth and soup going constantly. Those days are gone! 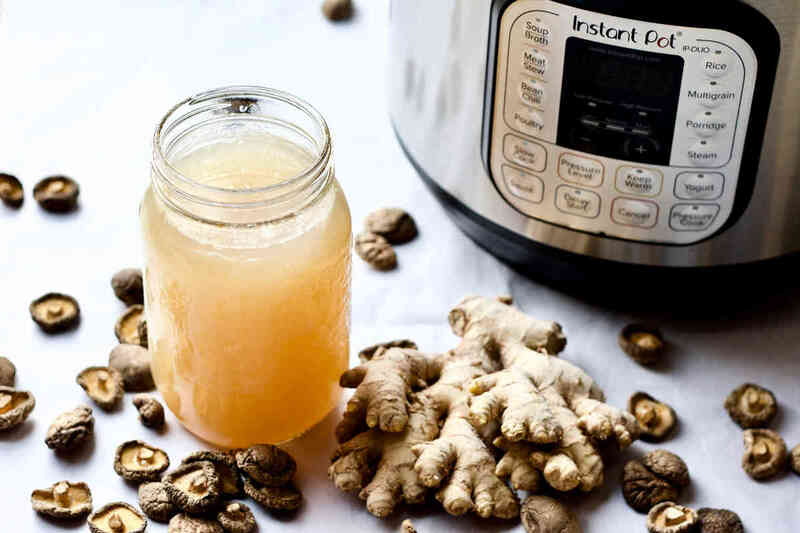 Now, the nourishing, gut-healing broths, soups, and stews that used to take hours or even days happen in minutes — saving you time, money, and sanity! And now to the recipes! 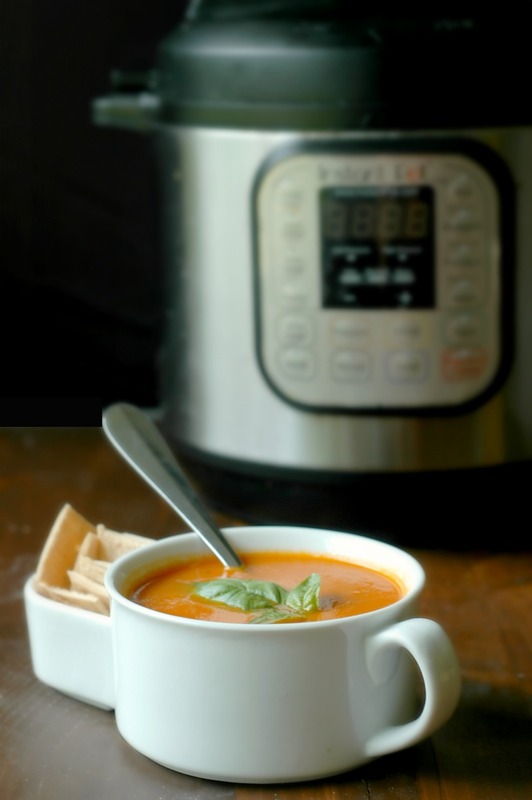 Two minutes… That's all the cooking time you need to make this fragrant, flavorful GAPS Diet soup in your Instant Pot or stove top pressure cooker! It's nourishing, comforting, full of bone broth, budget-friendly, and even contains organ meats — not to mention, compliant for GAPS stage 5 and beyond! Via TraditionalCookingSchool.com. 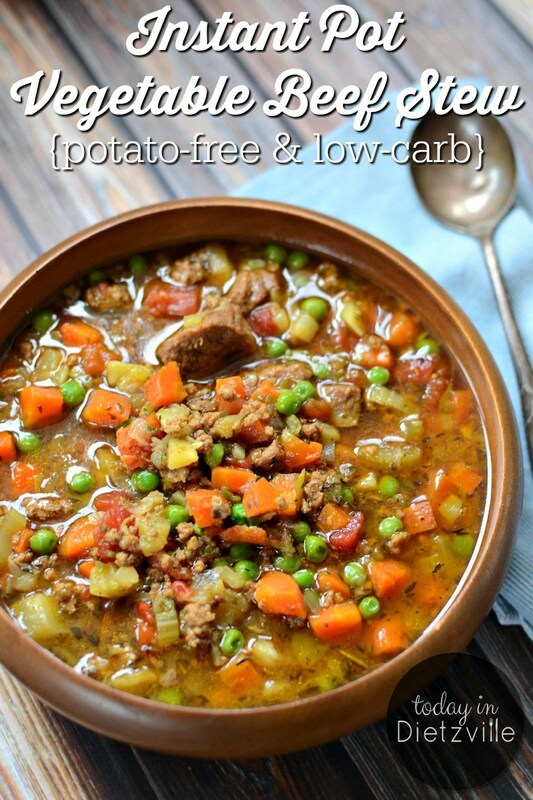 It takes just 15 minutes to prep this delicious, fiber-rich stew that's loaded with nourishing butter and healing broth and veggies! Via EatBeautiful.net. This Instant Pot recipe is perfect for the Intro Phase of GAPS when foods are still limited. Via CathysGlutenFree.com. Make this hearty (and optionally spicy!) lamb stew, then set out bowls and bowls of topping options to pass and share! Fermented condiments or veggies are perfect topping options for GAPS Diet soups and stews! Have you ever had the deeply flavorful and aromatic Vietnamese soup known as pho (pronounced “fuh”)? 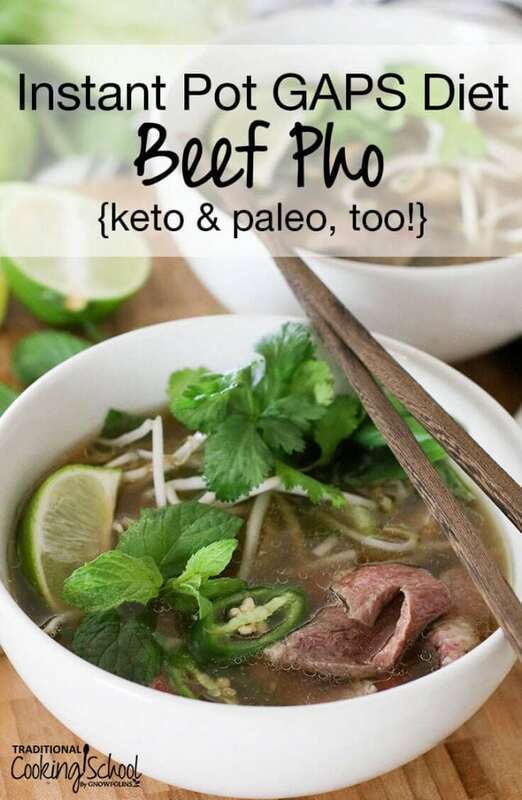 This easy Instant Pot GAPS Diet Beef Pho has nourishing bone broth, then you choose which GAPS, paleo, or keto-friendly add-ins and veggies you want! Gut-healing and so yummy! 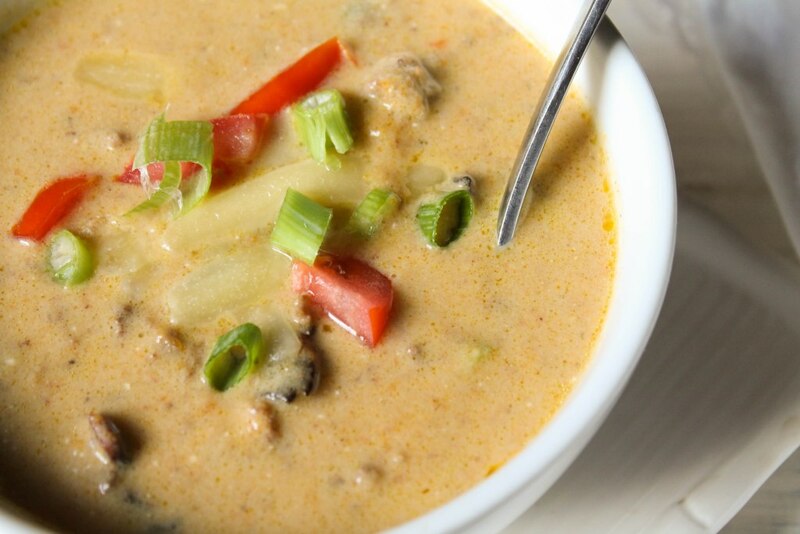 We can't promise this Bacon Cheeseburger Soup will totally satisfy a cheeseburger craving… but since you're on the GAPS Diet, your cravings are likely changing! 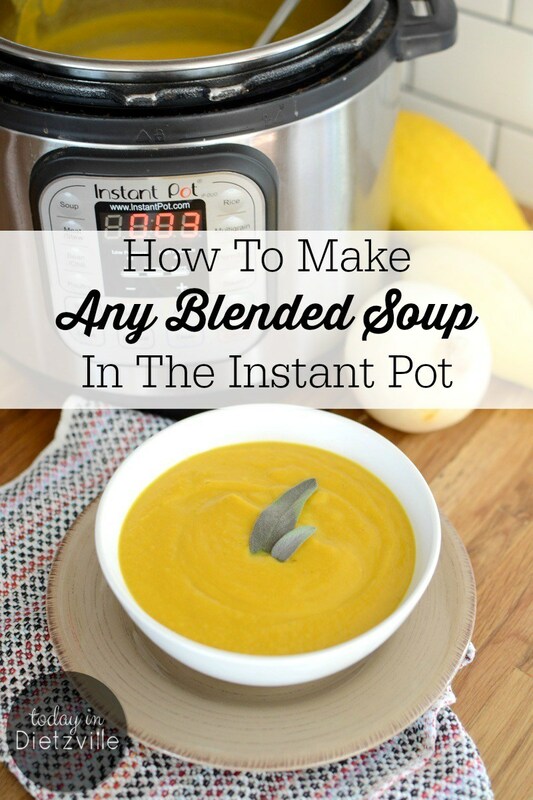 You'll still love this Instant Pot soup! We recommend using a cultured cream cheese to stay 100% GAPS. Via TessaTheDomesticDiva.com. With vegetables, broth, and seasonings, this soup is super simple. But don't be fooled into thinking it's too simple! 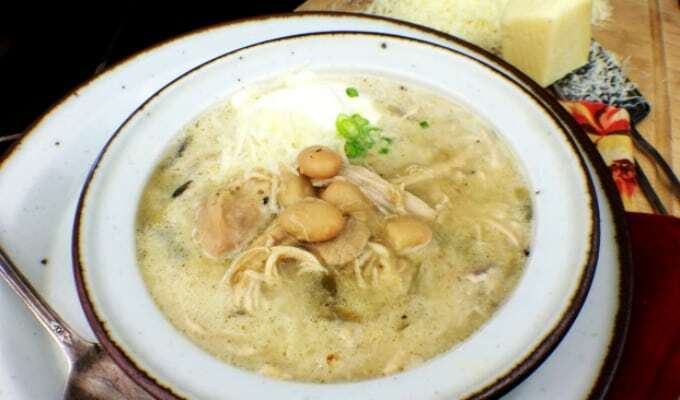 The flavors are rich and complex, and this soup satisfies year-round! Via TessaTheDomesticDiva.com. The healing powers of chicken bone broth are multiplied with the addition of two gut-healing superfoods: fresh ginger and shiitake mushrooms! 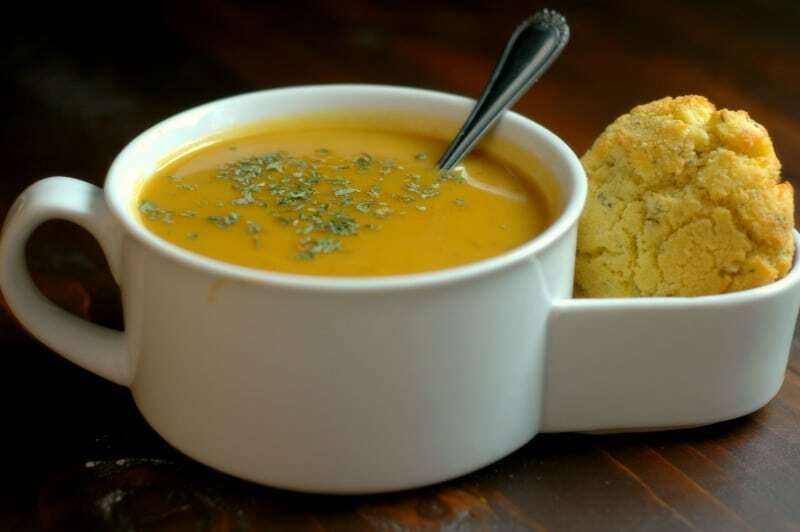 This is comfort food meets nourishment! You'll not miss any of your old favorite soup additions (like noodles or rice) when you've got this hearty GAPS-approved soup! Via PrepareAndNourish.com. Nourish yourself with the best of winter produce using your Instant Pot to save loads of time! Via RaisingGenerationNourished.com. Don't turn your nose up at this most nourishing superfood — chicken foot broth! Chicken feet are made up of all the things that go into a good bone broth: bone, tendons, cartilage. 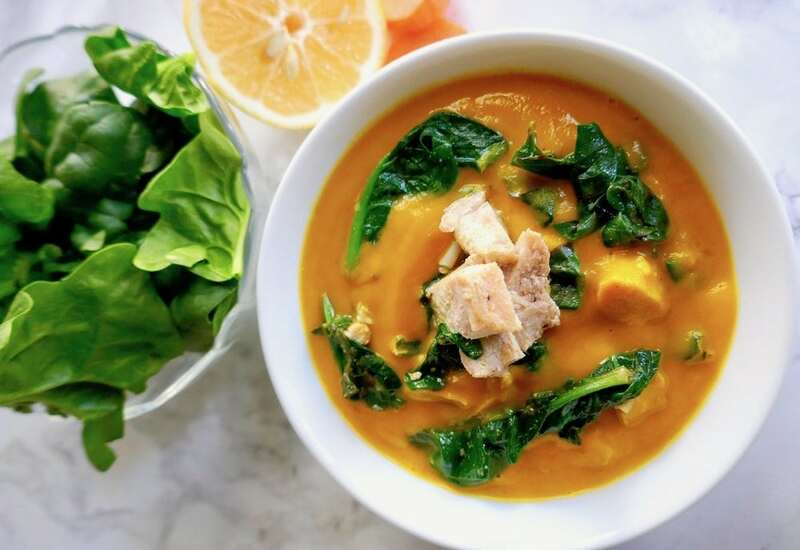 When pressure cooked, all the goodness finds its way into the water, making a rich broth that is chock-full of amino acids, collagen, gelatin — all the nourishing things that our bodies need for optimal health. Via AllTheNourishingThings.com. 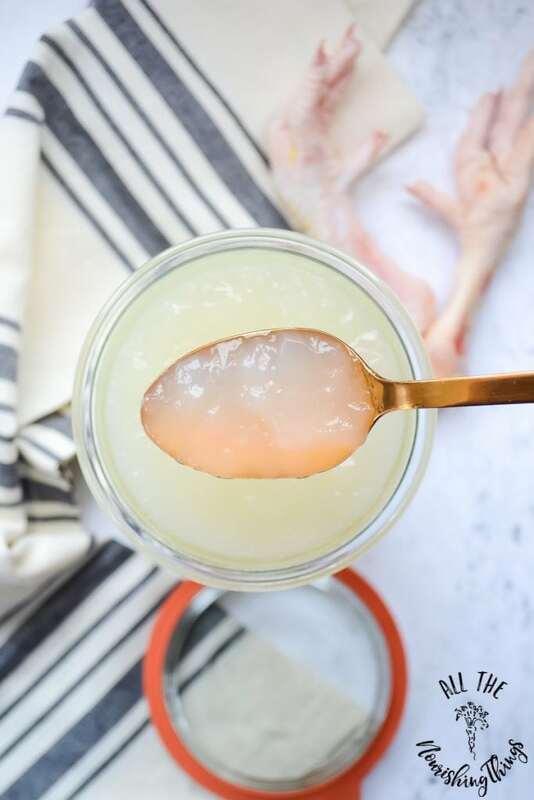 In this recipe, you'll combine gelatin-rich broth with a secret ingredient — lemongrass essential oil! — to stimulate digestion, regulate the parasympathetic nervous system, and support the vagus nerve. 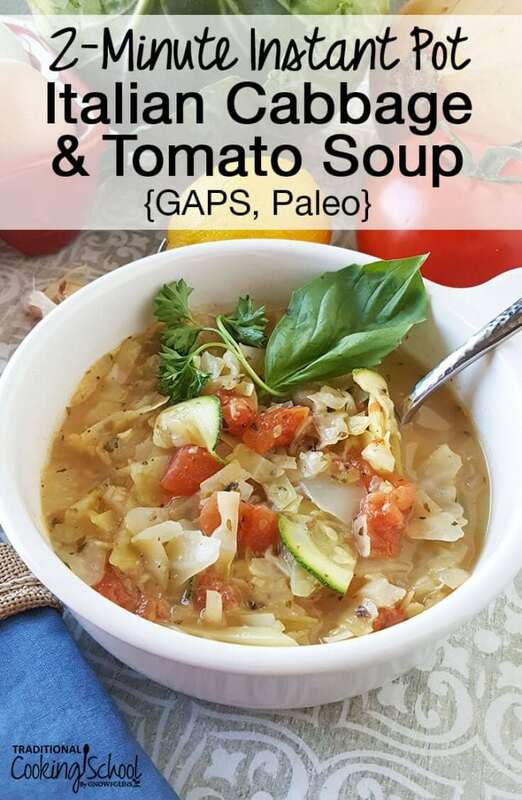 Here's a kid-friendly GAPS soup — because we know how hard GAPS can be on the kiddos! Via RaisingGenerationNourished.com. The GAPS Diet staple you NEVER want to run out of? Bone broth! 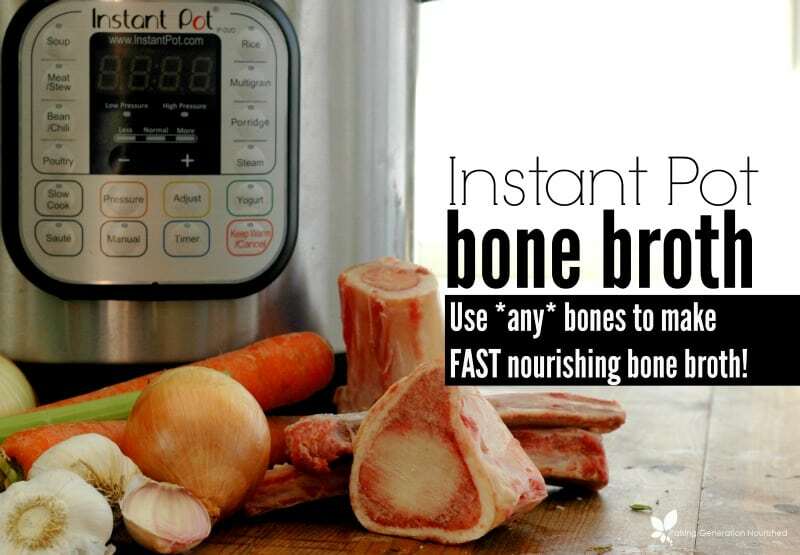 And the Instant Pot helps you make delicious, rich broth out of any bones or vegetables you have in a fraction of the time! Via RaisingGenerationNourished.com. 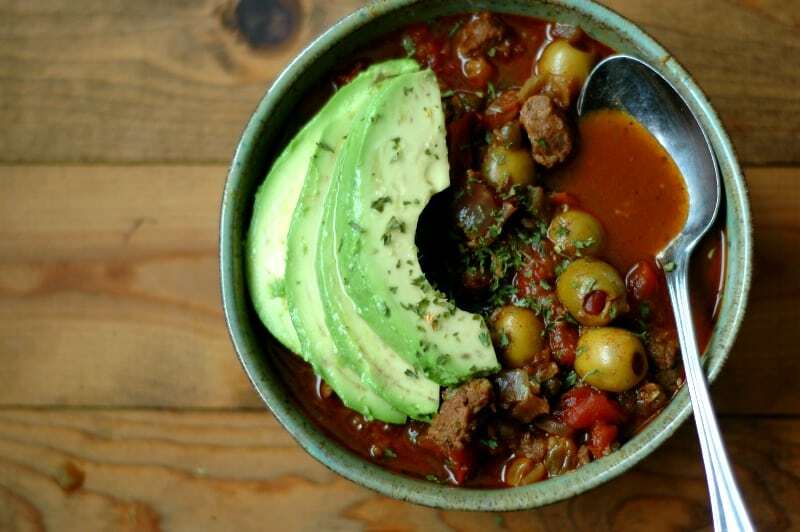 With instructions for the slow cooker, stove top, or Instant Pot, there's no reason NOT to make this chipotle-flavored chili! When you're at the point in your gut-healing journey that you can finally re-introduce legumes, start with this white bean chili! Via EatBeautiful.net. Nothing more filling or comforting than a big ol' bowl of hearty meatballs in broth with veggies! We love that these meatballs are packed with spinach and immune-boosting garlic! Via RaiasRecipes.com. Beef picadillo chili with sweet raisins has salty and sweet “all day cooked” flavor in a fraction of the time with your Instant Pot! 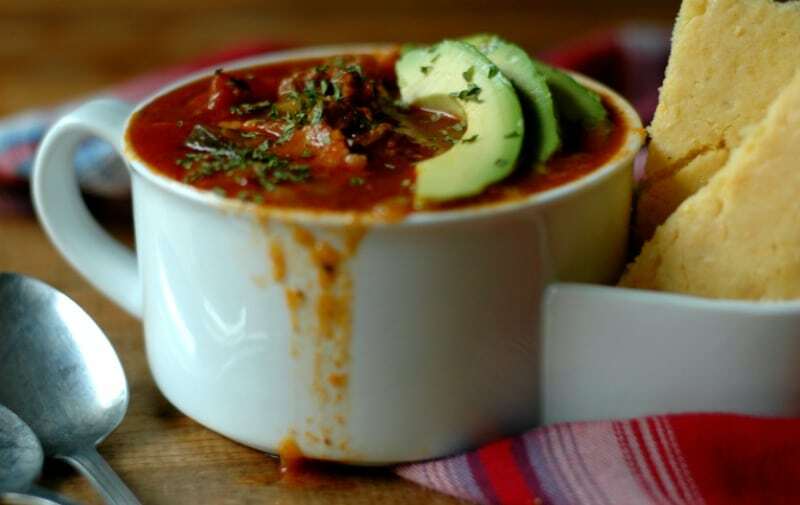 Served over cauli-rice and topped with GAPS-friendly foods like cultured sour cream or fermented jalapeños, this Instant Pot Mexican Beef Stew takes less than an hour — unlike slow cooker or stove top stews that have to cook all day! Via AllTheNourishingThings.com. GAPS-approved clam chowder? 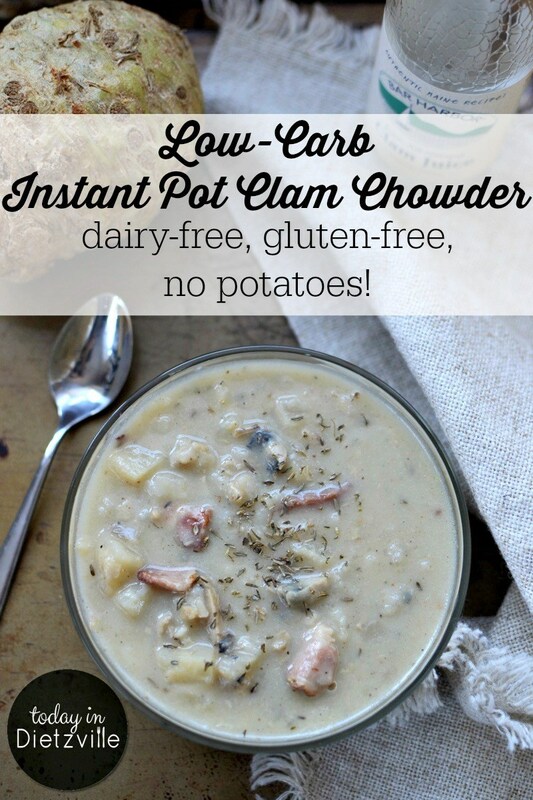 Clam chowder without flour, heavy cream, or potatoes? Yes and yes! The 2 secret ingredients are going to blow your mind! Via AllTheNourishingThings.com. 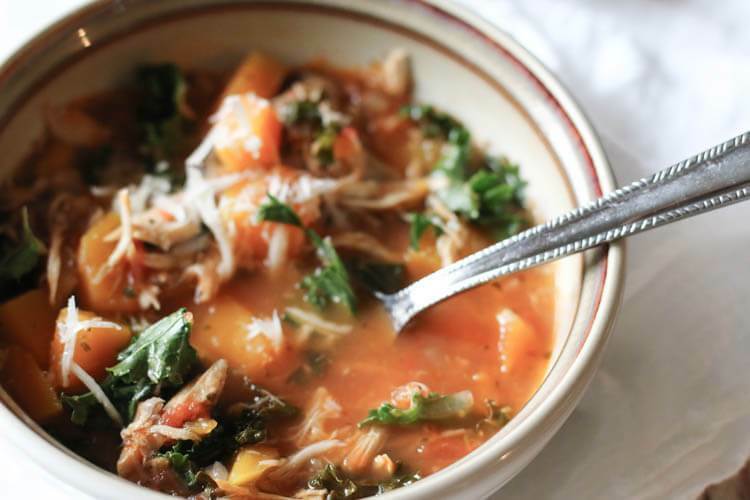 That's right… you can't make GAPS soups or stews without the star ingredient — bone broth! 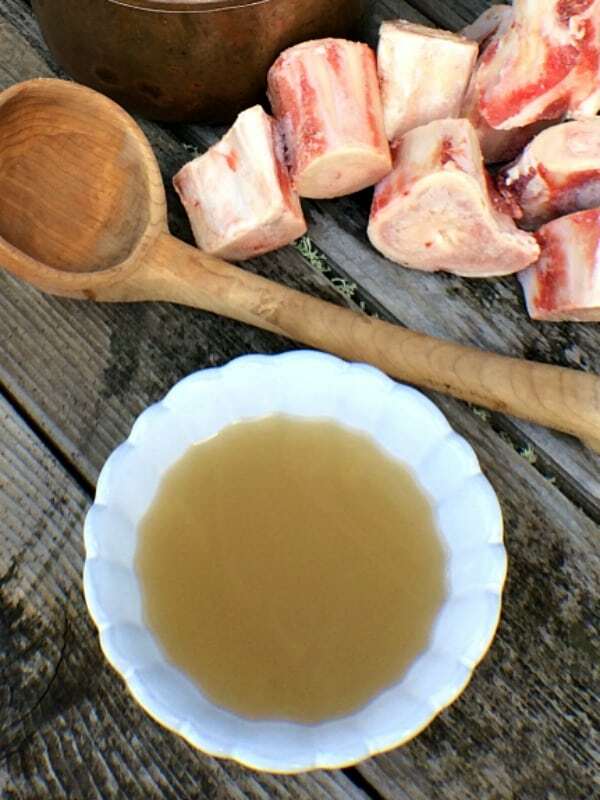 This post also shows you how to make the “meat stock” (bone broth that hasn't been simmered as long) recommended for Intro GAPS. 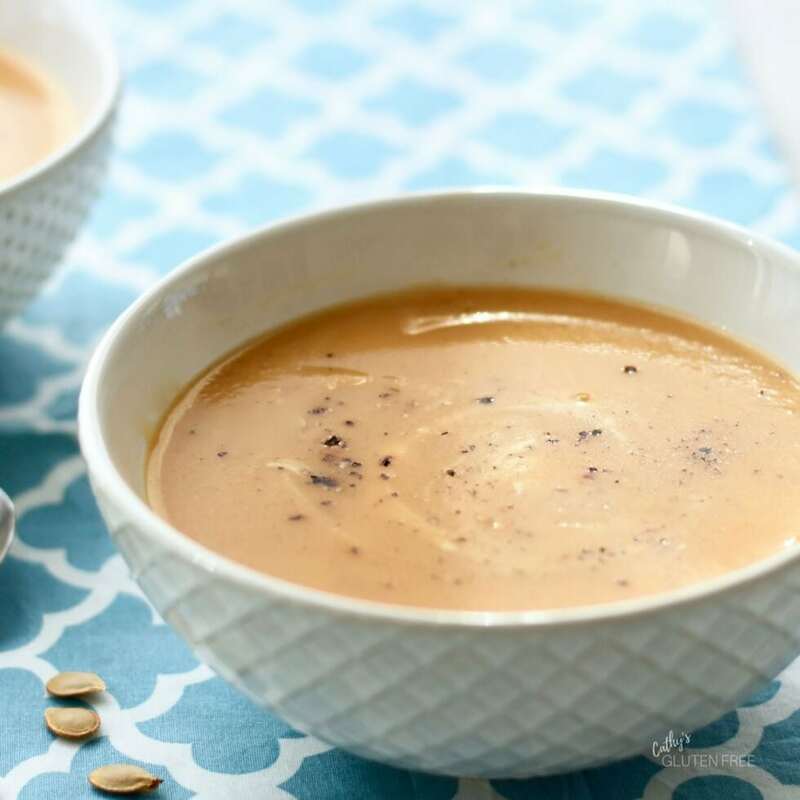 Here's a handy tutorial to take any GAPS-friendly vegetables, along with broth and seasonings, and make a creamy blended soup! 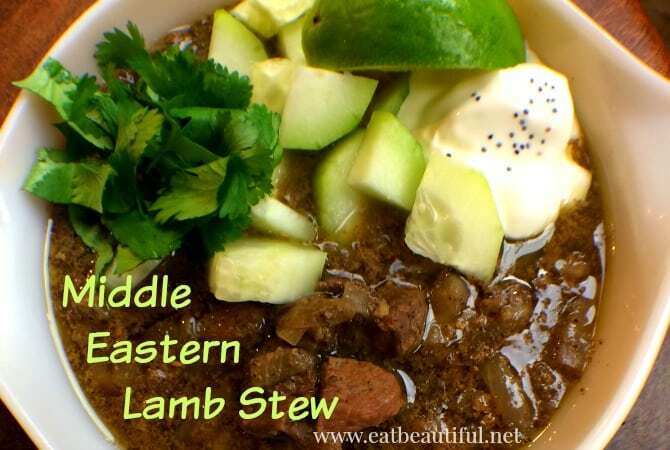 So much nourishment and healing in such a simple pressure cooker recipe! Via TastingPage.com. Since potatoes are out on GAPS, learn about the ugliest root vegetable ever that moonlights as a potato so you can still enjoy homemade beef stew! 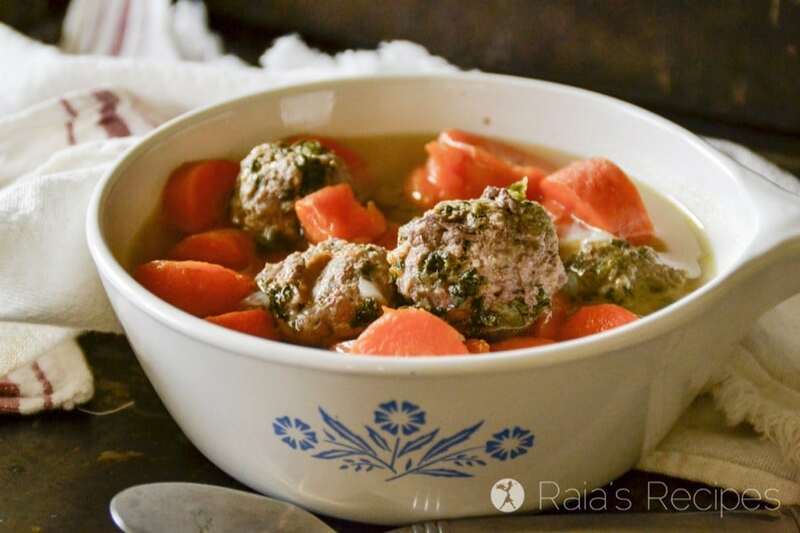 Ooooh, big, flavorful meatballs float in a creamy, dairy-free soup! Loaded with veggies, too! Via AllTheNourishingThings.com. Low-carb/keto, no potatoes, AND GAPS-friendly?? 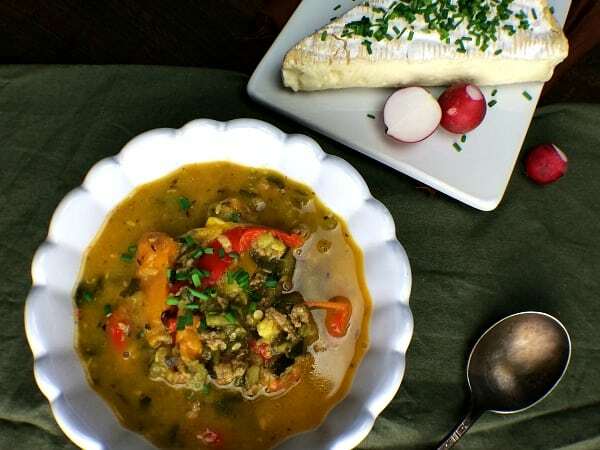 This Instant Pot Green Chile Chicken Chowder will definitely convince you that GAPS Diet restrictions don't have to be flavor-less! Via AllTheNourishingThings.com. 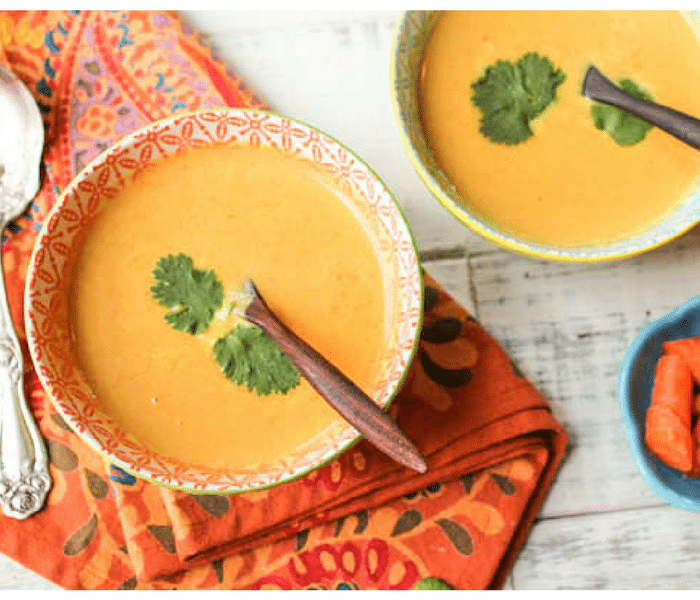 The GAPS Intro Diet is tough… Why not make it easier on yourself with a healing Introduction Diet soup that's made in your Instant Pot? 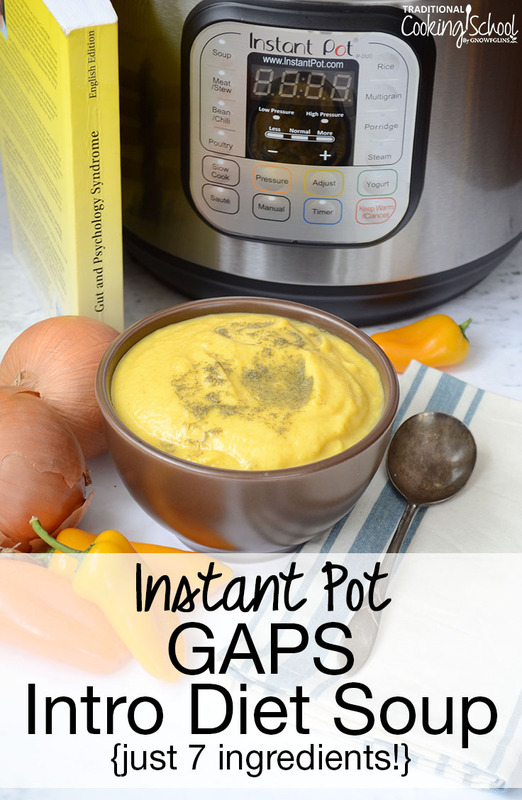 Are you using your Instant Pot or pressure cooker to make GAPS easier? Share how it's working for you!